Celebrate one of the toughest, most beautiful races in the world this August. 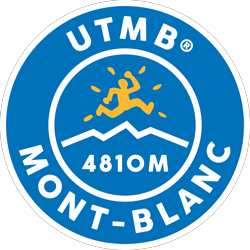 Strava is an official sponsor of the 2016 Ultra-Trail du Mont-Blanc, a race that will take 2,300 athletes through the high-altitude passes circling Mont Blanc. Finishers will cover a brutal 168 km and climb more than 9,600 m – more than twice the height of Mont Blanc itself. Get a taste for this incredible race by climbing as high as Mont-Blanc during August. You can break this up over many runs, or take it all on at once. It’s up to you. Just be sure to climb at least 4,810 m in August. You can also join the official UTMB® club. All finishers who complete the challenge will receive a digital finisher’s badge to display in their Strava profile. Manual and treadmill entries, or runs marked 'Private' will not count towards your Challenge effort. Run hard and be safe. Use common sense when it comes to traffic, weather, or other conditions while taking part in this Challenge. Remember to take care of your hydration and nutrition needs when you’re out on the trail.